Synteko Pro is the latest in environmentally responsible waterbase technology. Pro is a non-yellowing, easy-to-apply, very low in VOC’s and meets the most stringent of environmental standards in both Europe and USA. Synteko Pro is an aliphatic polyurethane which dries quickly resulting in a naturally clear finish emphasizing the natural colour of the timber. This finish is recommended for residential use and provides a tough and durable surface. 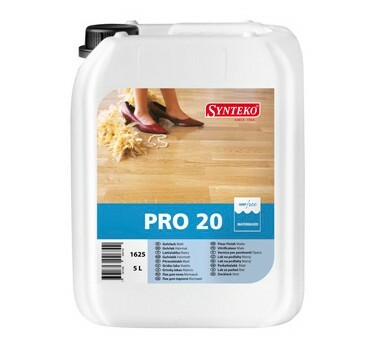 In the short time Synteko Pro has been on the market it has become a highly desired product among professional floor-sanders.